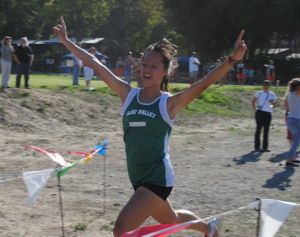 Yesterday, the Ojai Valley School cross country team had the last meet, the league final, at Midland. We drove down for about 2 and a half hours. Also participating were Thacher, Cate, Midland, Dunn, Besant Hill, Laguna Blanca and Providence Hall. The birls’ race started at 3 and the boys’ at 3:30. 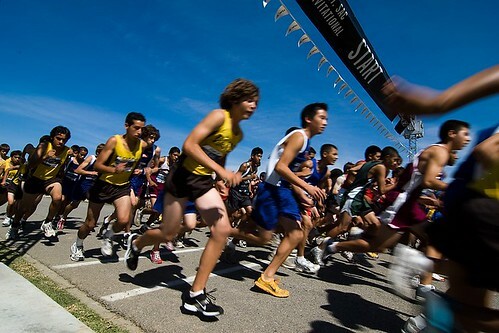 We all ran our best and gave everything. The course is very flat and there were tiny hills but I wouldn’t call them hills. I didn’t really like the course because flat courses just give me constant pain and is not fun compared to hilly course. Me and my roommate are about to run, listening to the instruction and course overview. My coach and I were talking about how I should run that course in the bus on the way to Midland. 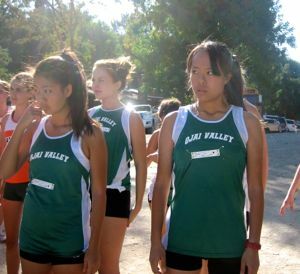 My strategy is always to stay maybe behind 4 or 5 girls and let them lead the race until the very end. It is then that my body tells me, “Now, sprint! It’s time to out run these girls.” The worst thing to do is to rush so I tell myself not to go in front of anyone! I would just like to thank my coach (thebrownguy) for coaching me I couldn’t have won without him! IS IT TRACK SEASON YET? 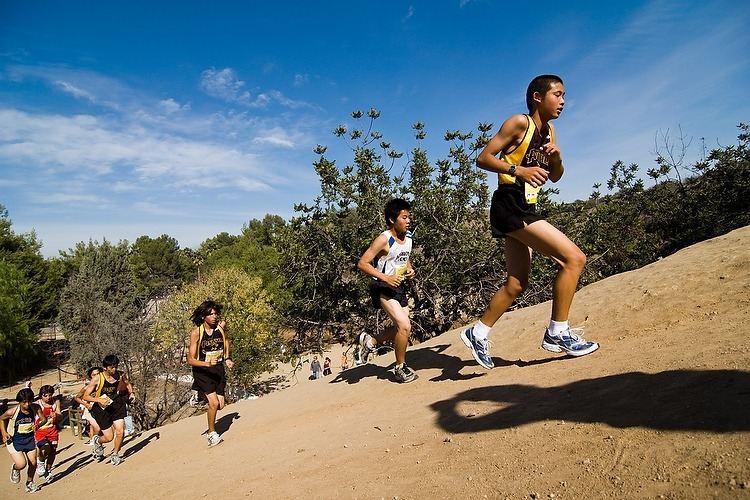 Mt.Sac is the coolest meet I have ever run. Since Puma hosts this meet, there were shops, game booth, ping-pong table, and DJs were playing music! Also, a big screen showed the runners running in real-time! It was such a fun meet! The course was pretty hard. I can’t remember, but I think I ran up maybe 4 or 5 steep hills. My back and abs were hurting at the hills… But I loved that course in spite of its difficulty! Hearing my coach yell “What hill?” motivated me to speed up. Cheering always helps. Overall, we all did great! Even though our girls team couldn’t compete as a team, all 4 of us ran hard finishing strong! I’d like to thank my coach (thebrownguy) and those of you who supported us! Great job everyone!